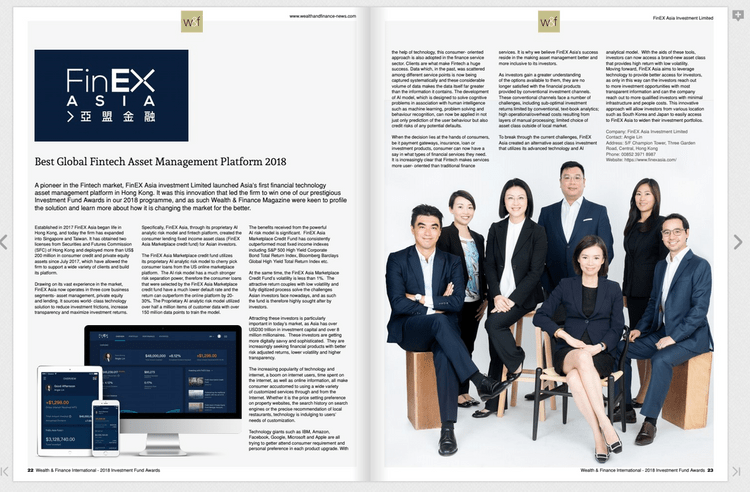 The winning of “Hong Kong Best Wealth Management Platform Award” from Asia Asset Management Magazine (AAM) and the “ Best Global Fintech Asset Management Platform Award” from Wealth & Finance Magazine in 2018 has made the start of 2019 bright for FinEX Asia Investment Limited (“FinEX Asia”). 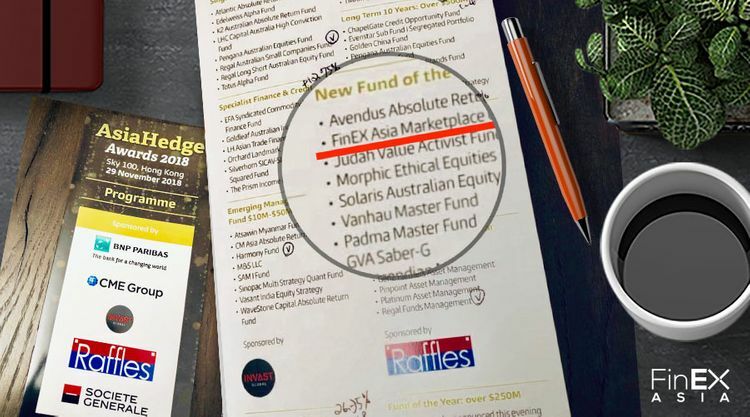 As the new comer in the industry, FinEX Asia was also shortlisted in the category of “2018, new fund of the year” from AsiaHedge Awards, which has been its 16th year in the industry. The continuous recognition is a great affirmation and encouragement for FinEX Asia. Founded in 2017, FinEX Asia, an asset management company based in Hong Kong, specializes in fixed income, alternative and private equity investments and has gained its reputation through the flag sheet fund focus on US consumer credits. The advanced risk management model is the key factor to generate stable income with low volatility from the portfolios. The adoption of the technology also helps FinEX Asia to be able to address to the needs from the professional investors. Asia Asset Management’s annual Best of the Best Awards have made their mark on the industry by recognizing the most outstanding players in the fund management business in Asia for the past 16 years. The growth of Asian high net worth(“HNW”) segment has created unique opportunity for FinEX Asia to provide investment products that are better suit for the needs of HNW individuals. 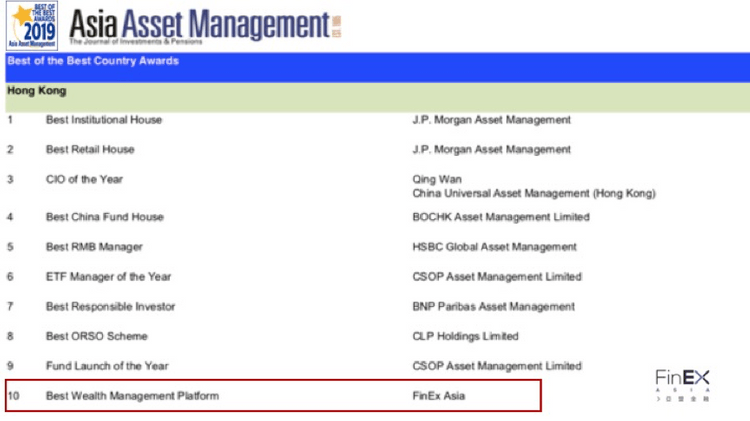 It is FinEX Asia’s great honor to be the winner of the “Hong Kong Best Wealth Management Platform Award”. 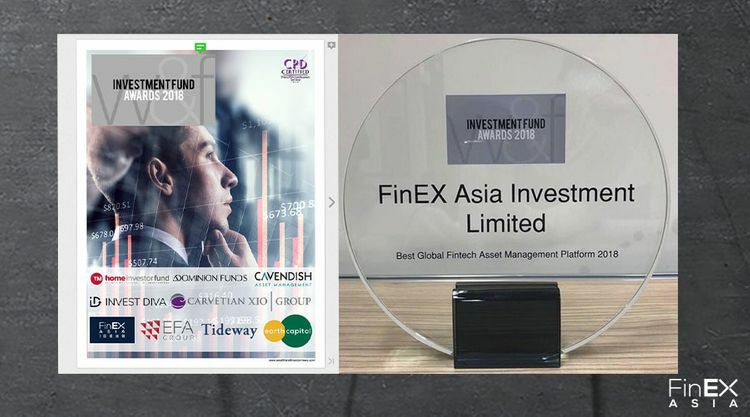 Furthermore, the awards from AAM and Wealth & Finance Magazine recognize, FinEX Asia’s capacity of utilizing world-class technology solutions to reduce investment barriers, increase transparency and enhance return. The adoption of technology in risk management model helps the team to lower default rate by better selection of the US consumer loans with the returns that outperformed the main fixed income index since inception. The ability of processing over half a million consumer data is the key element for FinEX Asia to outshine managers of similar asset class.